The next block of classes will begin on April the 17th 2019. I will now be offering the option of booking a 6 week block at a cost of £140. 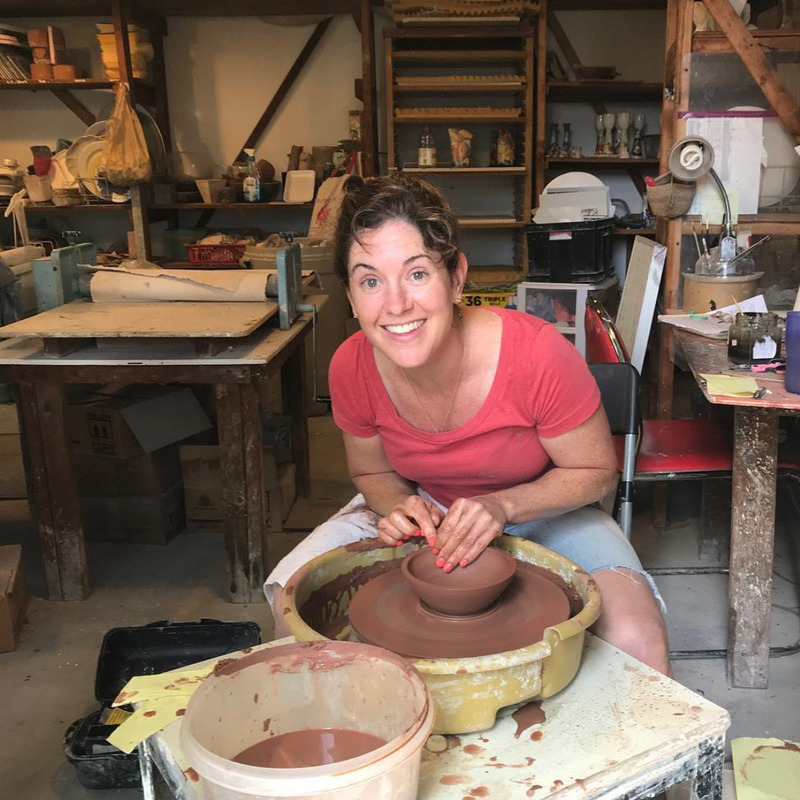 Sarah Bland’s pursuits in clay began at a young age, influenced and encouraged by her artist father. Sarah’s work is lovely and functional. Each handmade piece is crafted to be used everyday, for years to come, while also being beautiful enough to be displayed on their own. Bright colours and exciting patterns are a theme throughout Sarah’s work, displaying the fusion of the tradition of craft with modern influence. Sarah holds workshops where she shares the calm and peace of being able to work with one’s own hands with the community.